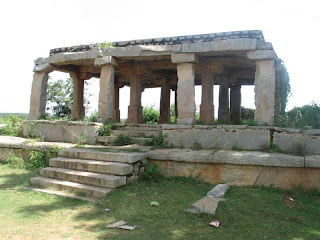 "Aralaguppe" , is a small forgotten village of Tiptur Taluk, Tumkur District. 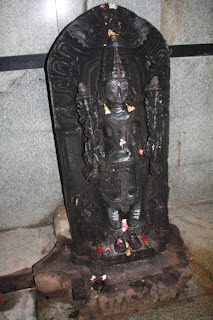 Araluguppe is famous for its two temples, namely Kalleshwara Temple and Chennakeshava Temple. It is also known as the 'Museum of Temples'. 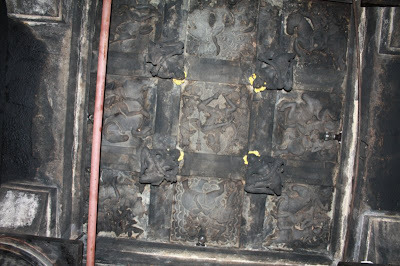 While gathering our usual pre-visit details and information about the place, we found a document which states about the Mysore Archaeological reports saying 'there is hardly anything worth comparing the figure sculpture with it in the entire Mysore state and South India' referring to the carved ceiling of the Kalleshwara temple. The same is also stated in the book,'The Guide to the Architecture of the Indian Subcontinent' by Takeo Kamiya, which is a favorite reference of ours. After few inquiries about the route to this place, we finally made it to Araluguppe . An elderly person directed us to the house where the priest resided. Though the priest was not available, an elderly person from that house volunteered in showing the temple. 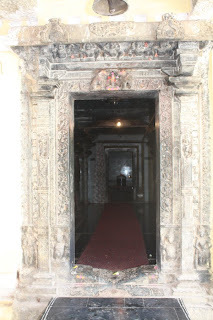 The first sight of the temple gave us an ordinary impression. 'Kalleshwara Temple' was built by the Nolamba kings during 9th century AD. There are four other temples in this complex which belong to Ganga dynasty. All the temples are dedicated to Lord Shiva in the form of a Linga. 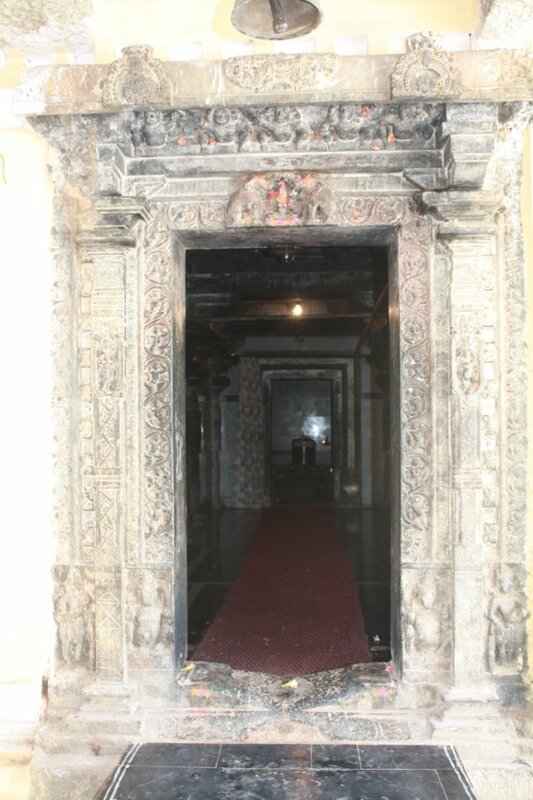 The doorway of the main temple has a nice carving of Gajalakshmi on the lintel and a row of dwarfs on the pediment. 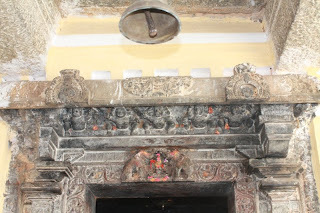 The most important part of the temple is its central ceiling consisting of nine intricately carved panels with a magnificent carving of Tandaveshwara at the center and surrounded by the Ashtadikpalas (click to read more). Another unique feature of this ceiling is the flying Gandharvas, four in number at each corner of the Tandaveshwara. 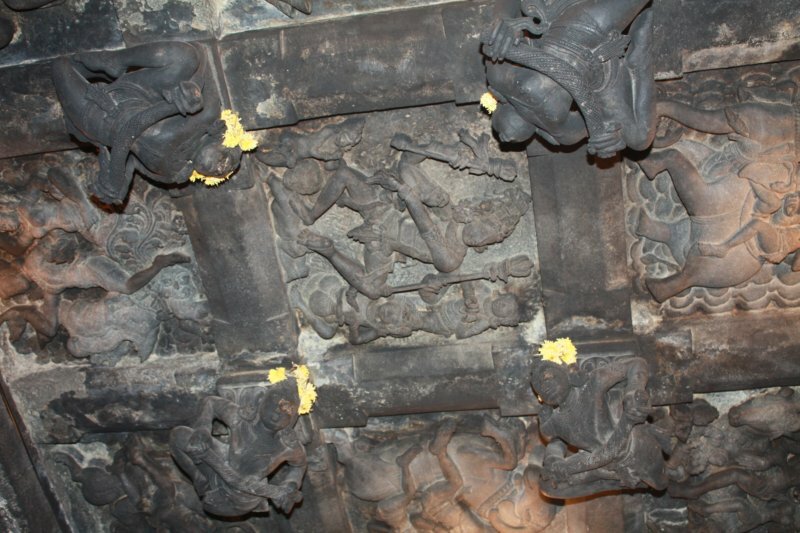 The Flying Gandharvas are a unique feature of the Nolamba architecture.The heavily carved ceiling is a masterpiece and truly out of this world. There is an idol of Nandi in front of the Linga. 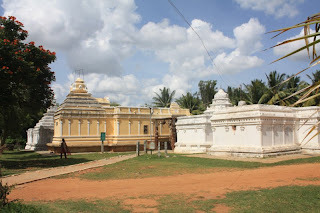 There is also a small temple just opposite to the main temple dedicated to Lord Uma Maheshwara and two more temples besides the main temple dedicated to the sons of Lord Shiva, Ganapathi and Subramanya. We were unable to see the idol of Lord Ganapathi as it was being used by the priest as a store room of the temple and was locked. 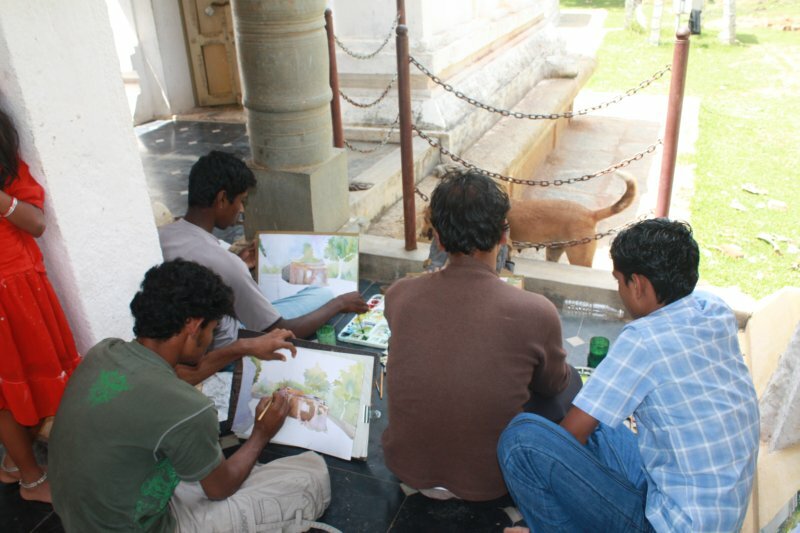 Apart from us, there were a few people from an art school of Tumkur, sketching the temple. 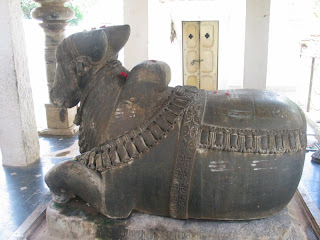 The other four temples in the complex are alike, with Shiva Linga and Nandi in its front . We could see a collection of Hero stones, deserted mantaps and an unused dry well. This temple is renovated and white washed regularly during Shiva Ratri. 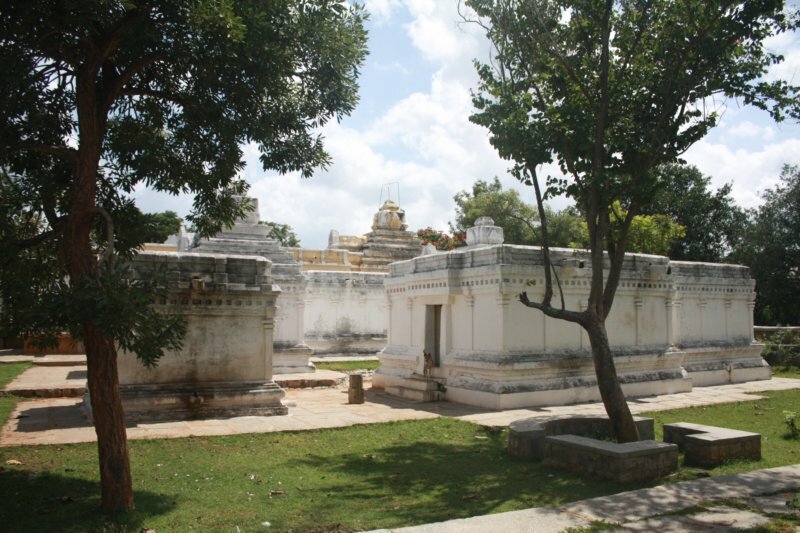 There is lake situated nearby the temple. 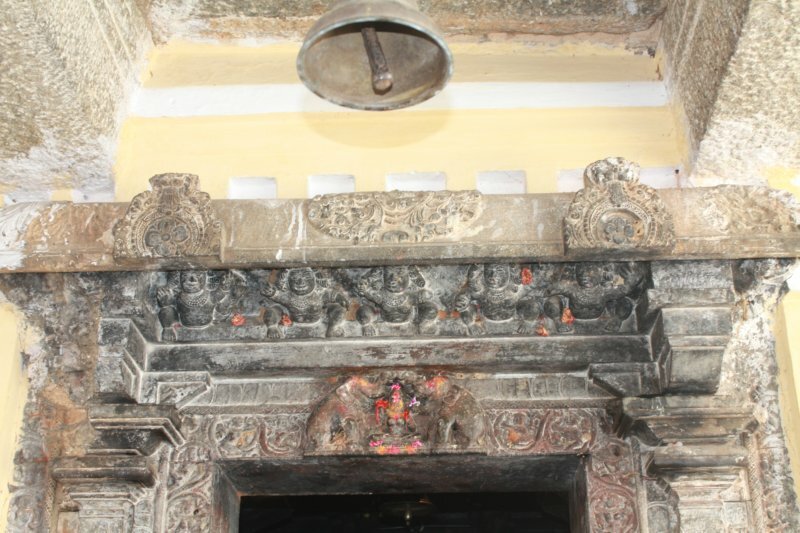 The temple is neatly maintained. The elderly person who accompanied us was knowledgeable and seemed very humble. This looks fabulous... India is such a wonderful place that you will find number of small temples that are so magnificent!! Terrific post as always! I do so enjoy learning more about your country and its history. Your photos are superb! Thank you for the beauty! Have a wonderful week! 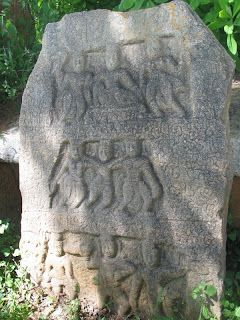 Great pics, I also like the four Gandharvas...am sure they would have looked much better than the image. 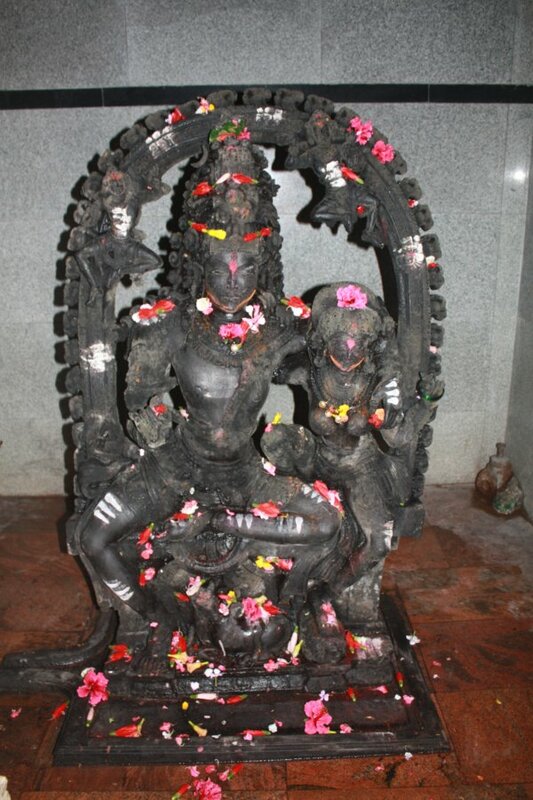 Chennakeshava temples seem to be all over Karnataka..! Beautiful pictures and narration. Beautiful images. You have unearthed a hidden jewel. Truly an unknown gem. 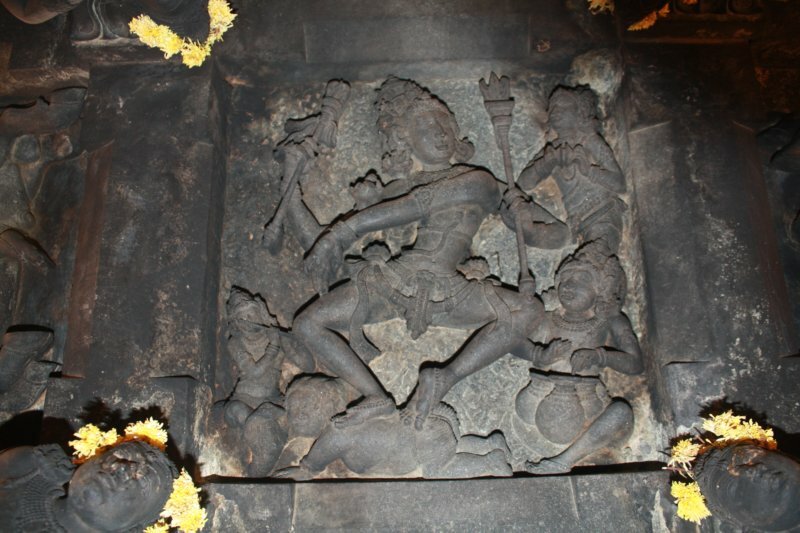 The tandaveshwara is majestic. The carving on the celiling are magnificent. I too found such carvings in a temple near Theni, in TN. Excellent pictures. beautiful pictures with wonderful description.